California is a great place for a host of reasons. Ask a Californian why California is the best state and the answers you get will be as varied and diverse as the state’s residents themselves. We have great weather year-round, sunny beaches, and snowy mountains. We have bustling cities and quiet stretches of farmland. Basically, we have it all. 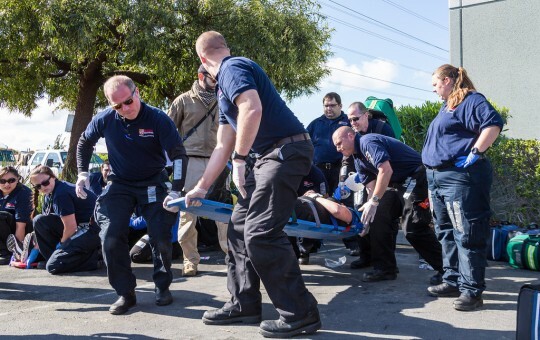 California has always been a vacation destination, but is has also become a mecca for people seeking top-tier EMT training. Located in the Bay Area, Unitek EMT offers an accelerated EMT training program that prepares students for EMT-B certification in two weeks. Unitek EMT is located in Fremont, CA – and is basically in the center of the Bay Area. About a 20 minute drive from San Jose, 45 minutes on public transit to San Francisco, you can city-hop with relative ease during your stay here. If you are coming here for training and are from out of the area, you are in good company. Unitek EMT can make hotel and car arrangements for you. Unitek EMT goal is to make your trip to California as comfortable and stress-free as possible, so you can focus on your EMT training! Because you will need all the focus you can muster during this two week intensive boot camp. Accelerated EMT training is short compared to traditional EMT training – condensing six months of training into a short, intense two weeks. Training is 14 hours per day, for 14 days. Just because training is intense, does not mean you won’t have time to make the most of your visit to California! There is plenty to do while you’re here. Attend sporting events, dine out at restaurants, get active outdoors, experience the nightlife, or explore museums – there is a lot to see and do in the Bay Area, so make a list of what most interests you. You’re classmates would probably love to join in on your itinerary. Bay Area sports are huge these days! So many Bay Area teams did well last season, and everyone is getting pumped for upcoming sports seasons. The Bay Area is home to both the Oakland A’s and the World Series champions, San Francisco Giants. We also have The Oakland Raiders and the NFC champions the SF 49ers. Hockey and basketball are also big here. So if you are a sports fan, you will feel right at home in the Bay Area. Chances are there will be a game for you to attend with your classmates during your time at Unitek EMT. 14-hours a day of Elite EMT training will make anyone hungry. Unitek EMT provides lunch to all our boot camp students, and if you stay at a hotel via Unitek EMT’s accommodations, breakfast will also be provided. But I encourage you to use dinner time as a chance to explore the diversity of the Bay Area. The Bay Area is home to thousands of amazing restaurants. You will find every kind restaurant, of all types of ethnicities, at all different price ranges. Whether you choose a hole-in-the-wall or a five-star bistro, I promise you will not be disappointed in the options, nor will you try the same thing twice. The Bay Area has tons of nature to explore. While you are in Fremont, try hiking up Mission Peak. It is a popular trail for locals, and for good reason – the views at the top are spectacular. There are hiking trails all over the Bay Area. If you’re not too tired after EMT training, grab some classmates and go exploring! Call Unitek EMT’s admissions team or admissions advisors to receive an introduction on the course, enroll, and work out all the other details of your training. 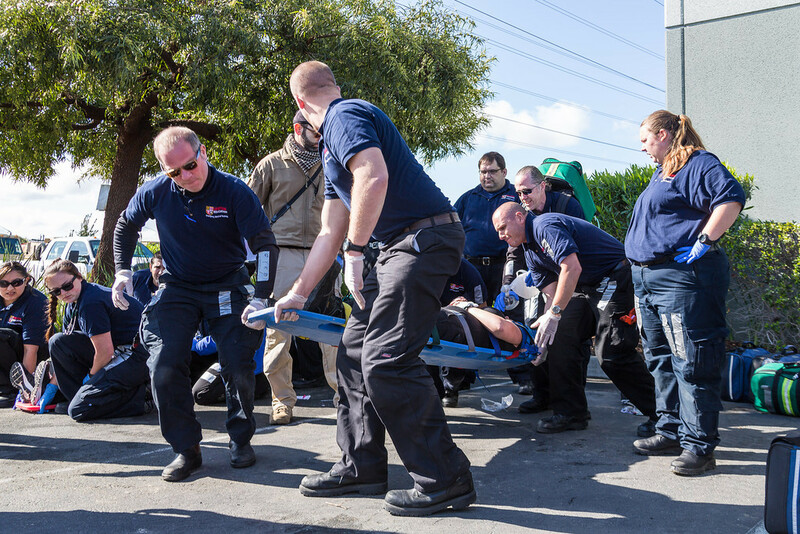 Call Unitek EMT at 888-790-1458 to register for your EMT Boot Camp in California now! Kris! Ha-probably because I was just tiklang to her. Anyways-I’m so glad you are enjoying it Renee. Your training seems to be increasing and all your tempo’s look amazing on this end.